With these Director Chairs made of solid wood you can create instantly a pop up terrace. Stand out with your unique designed Director Chairs! 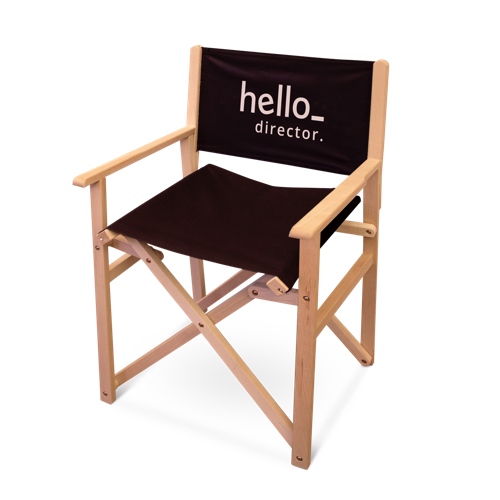 The Director Chairs are easy to store and can be used at many occasions. They will fit perfect at your presentation stand, at events, in your interior and even in your garden. The fabrics are printed in full colour with your personal design. The fabric is made from high quality 210 grams polyester.